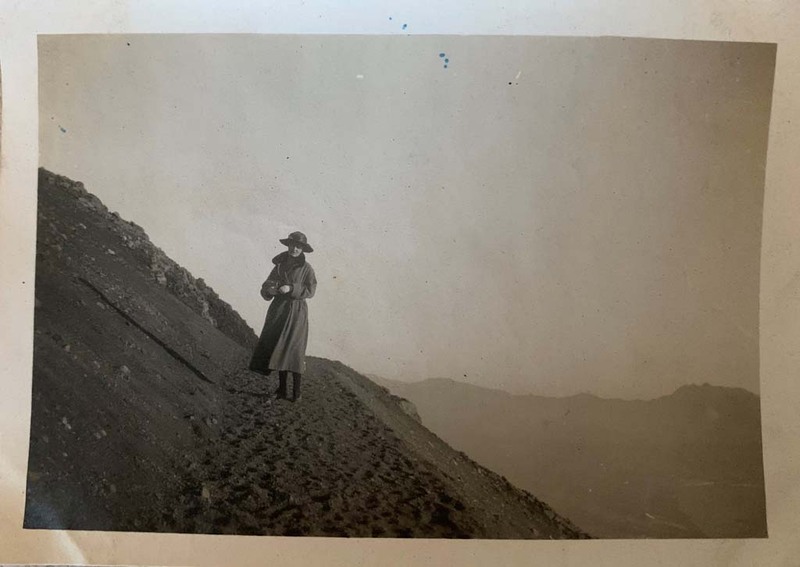 Vesuvius, August 27, 1904. Vesuvius viewed from across the bay. Photo courtesy of Rick Bauer. 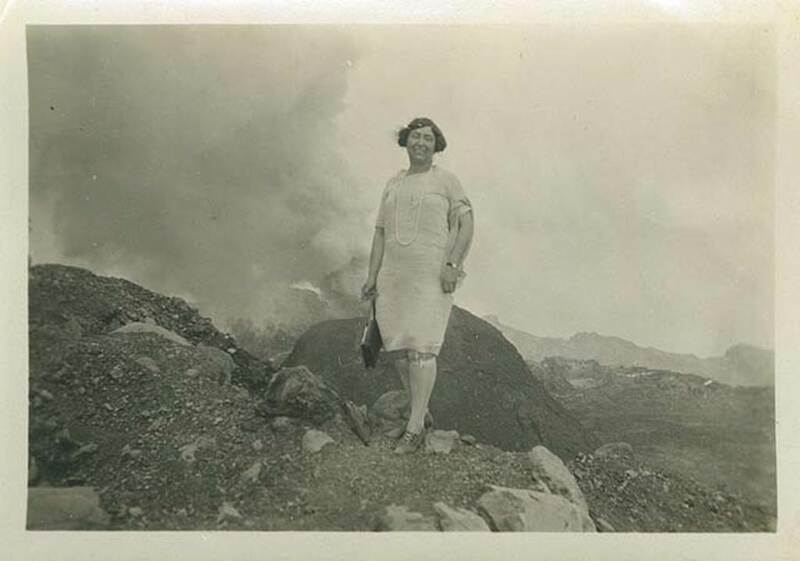 Vesuvius, August 27, 1904. Looking up to summit from a waterside location. 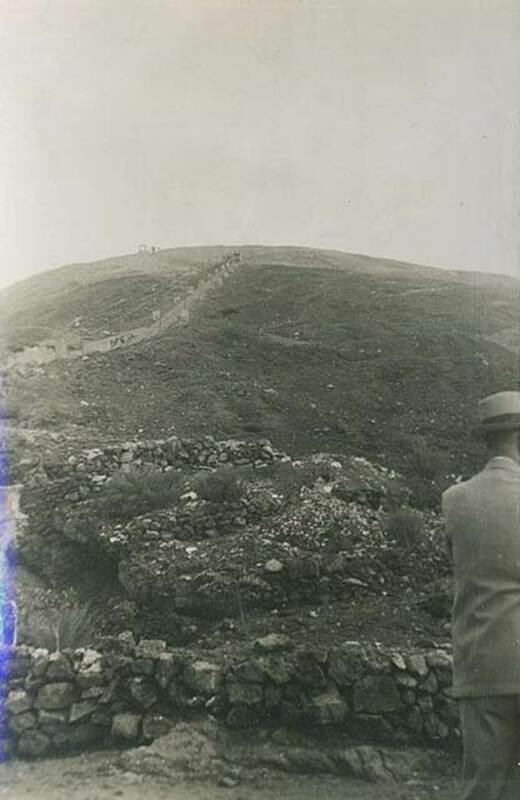 Vesuvius, August 27, 1904. View of Vesuvius across the lava with newly opened electric light railway in the mid distance. 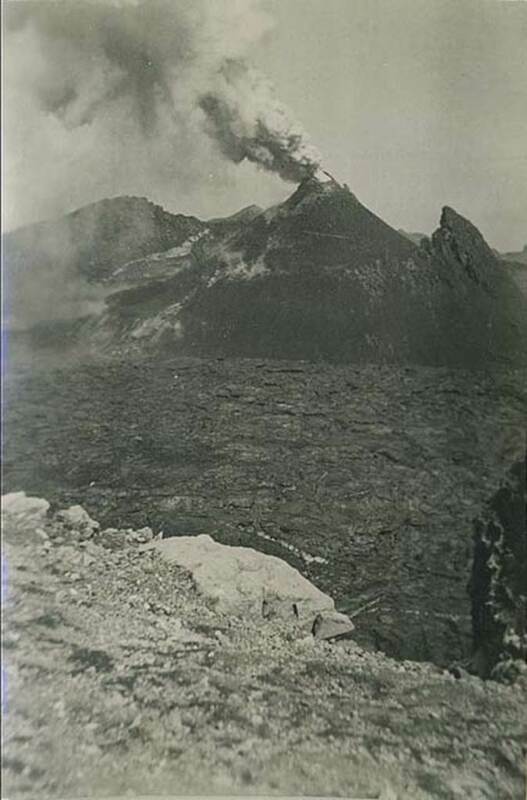 Vesuvius, August 27, 1904. Lava field. Photo courtesy of Rick Bauer. 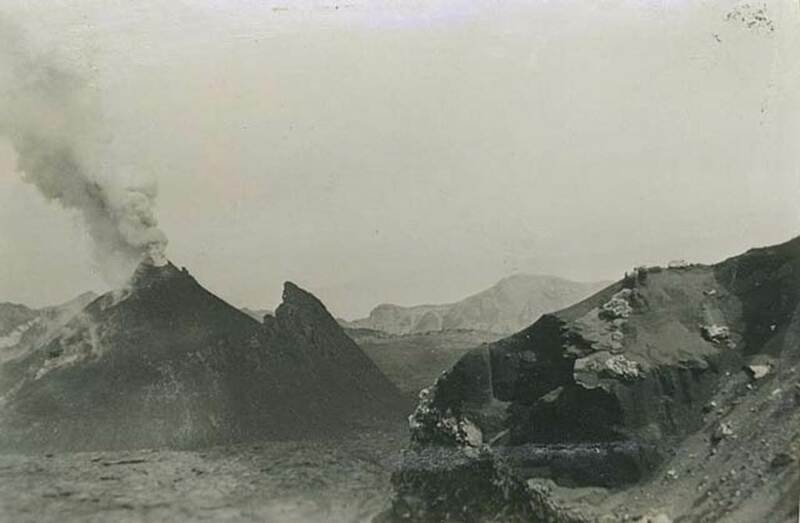 Vesuvius, August 27, 1904. 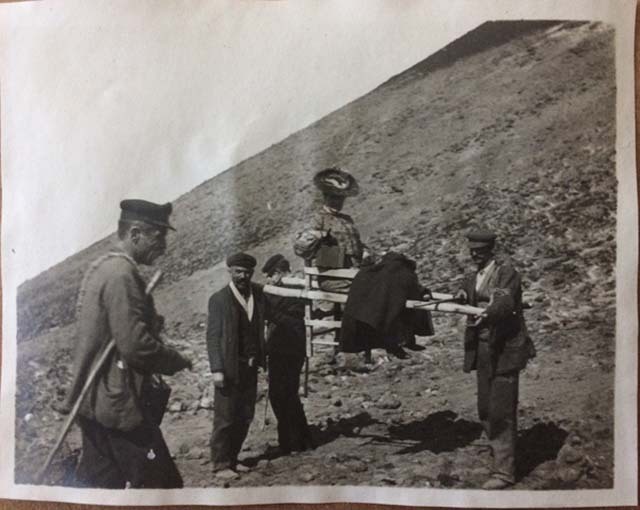 A family member carried in a sedan-chair. Photo courtesy of Rick Bauer. 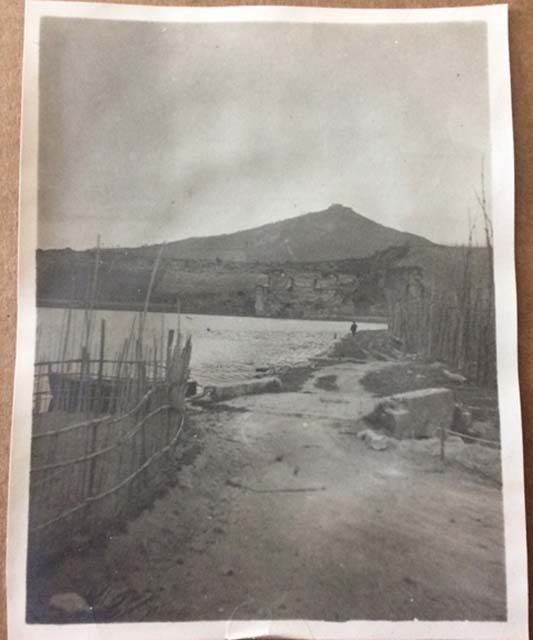 Vesuvius, August 27, 1904. A family and their guides on the lava. Photo courtesy of Rick Bauer. 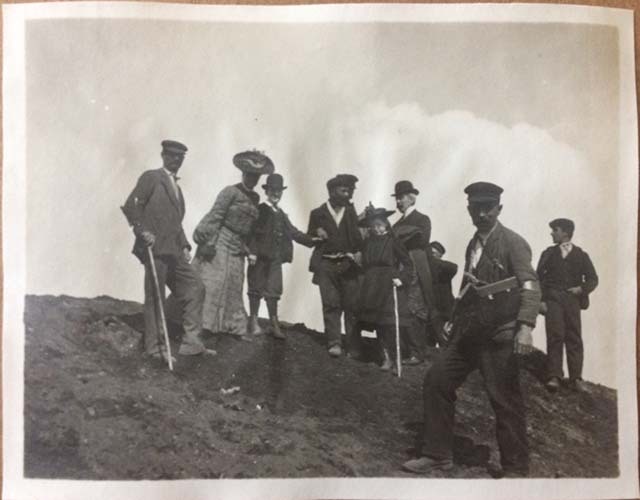 Vesuvius, August 27, 1904. 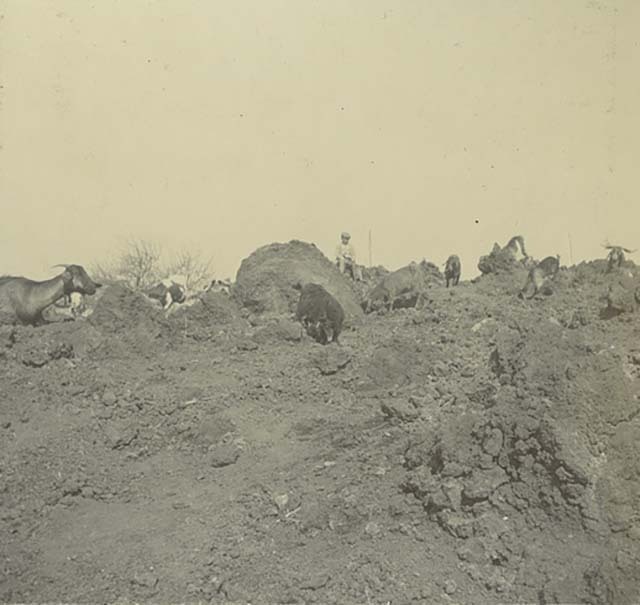 Crater. Photo courtesy of Rick Bauer. 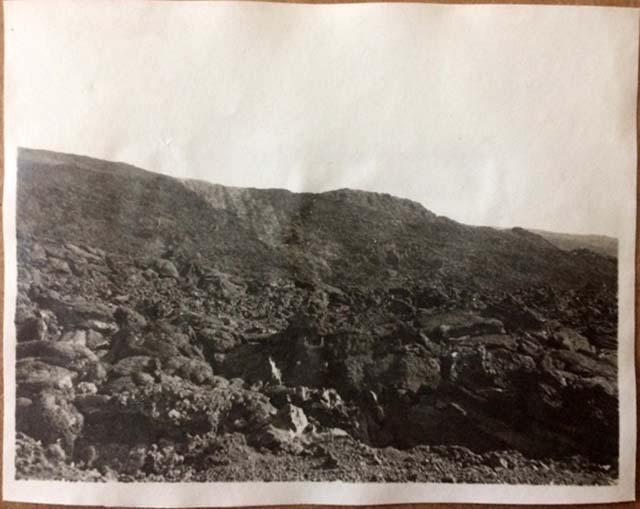 Vesuvius, August 27, 1904. 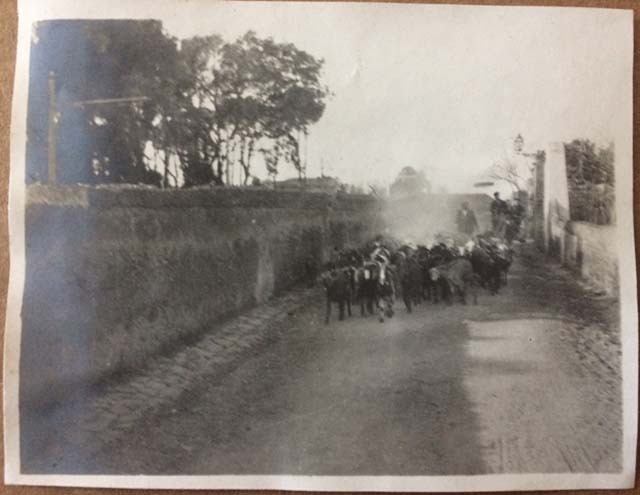 Photo from back of carriage on road to Pompeii. Photo courtesy of Rick Bauer. 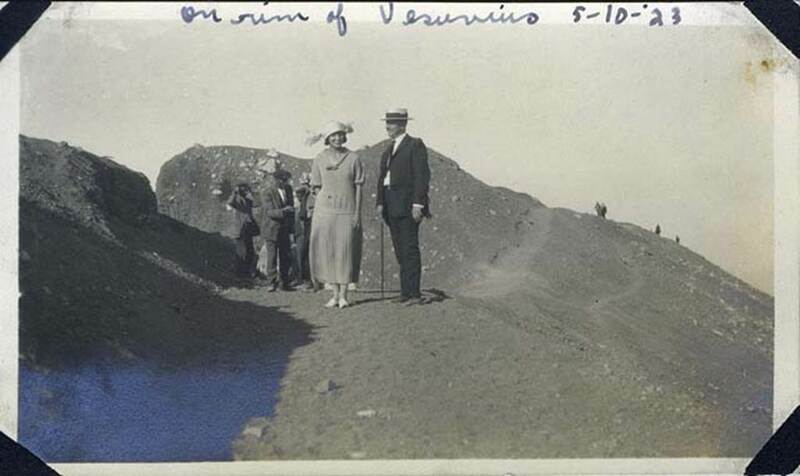 Vesuvius, August 27, 1904. 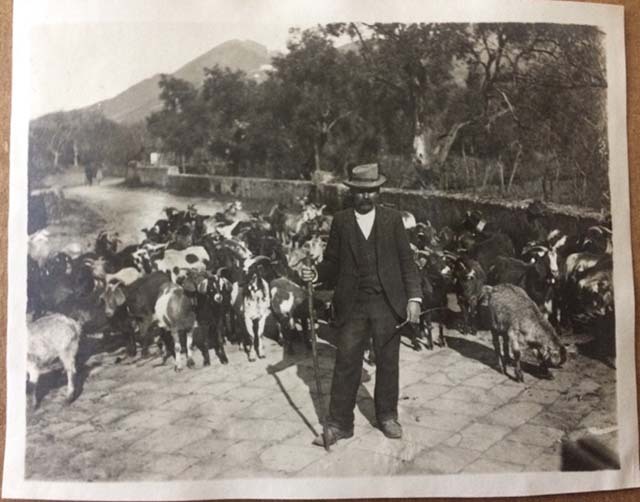 Herd of goats and goatherd met travelling back by carriage on the road to Pompeii. 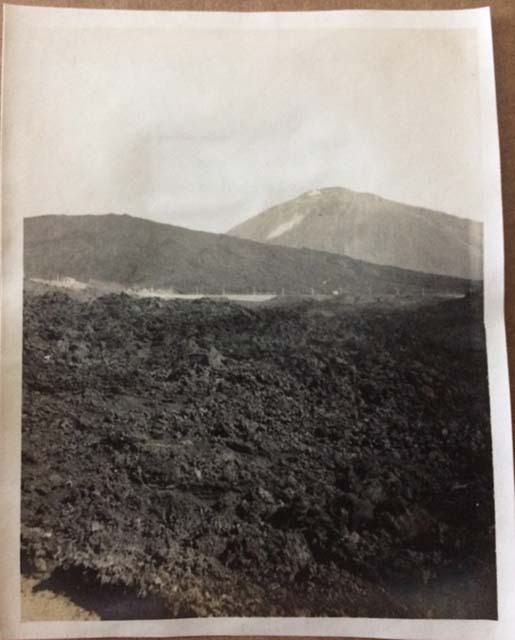 Vesuvius crater, 1970. Photo by Stanley A. Jashemski. 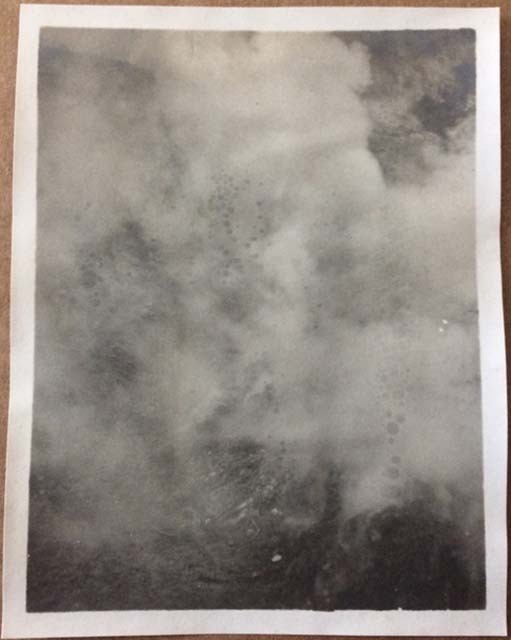 Vesuvius, 1972. Lava outcrop. Photo by Stanley A. Jashemski. Vesuvius, 1972. Revegetated lava. Photo by Stanley A. Jashemski. Vesuvius, 1972. Lava landscape. Photo by Stanley A. Jashemski. Vesuvius, 1972. Lava slope. Photo by Stanley A. Jashemski. 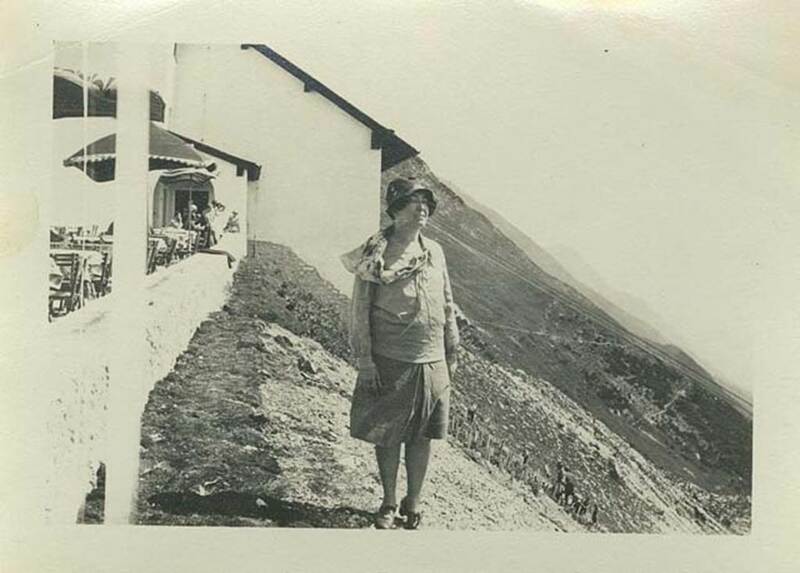 Vesuvius, 1972. Lava cliff. Photo by Stanley A. Jashemski. Vesuvius, 1972. Lava. Photo by Stanley A. Jashemski. Vesuvius, 1972. View across road to plain below. Photo by Stanley A. Jashemski. Vesuvius, 1972. Vegetated slopes. Photo by Stanley A. Jashemski. 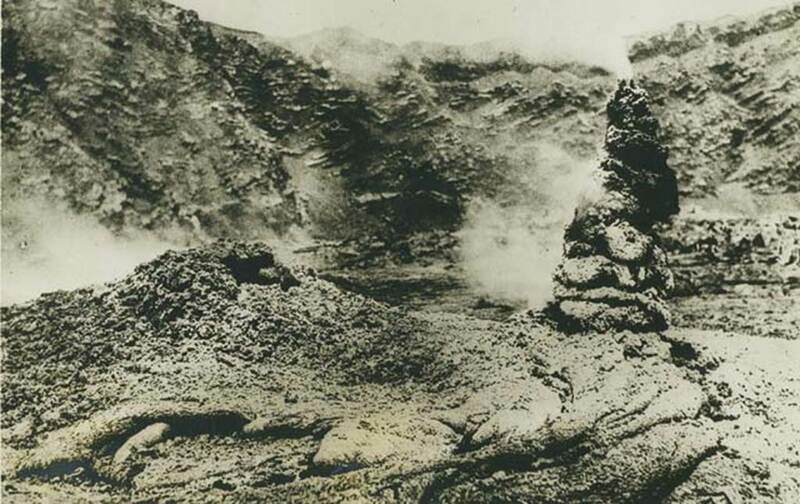 Vesuvius lava, 1972. Photo by Stanley A. Jashemski. Vesuvius, 1972. 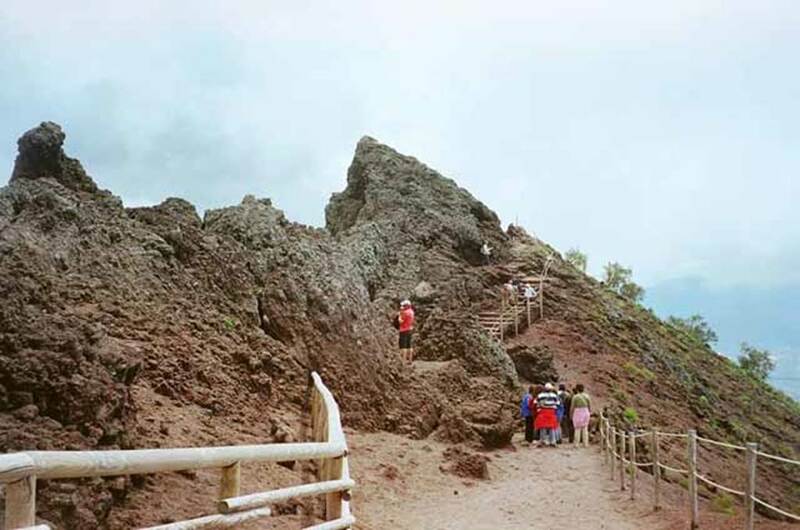 Osservatorio Vulcanologico Vesuviano (Vesuvius Volcanological Observatory). 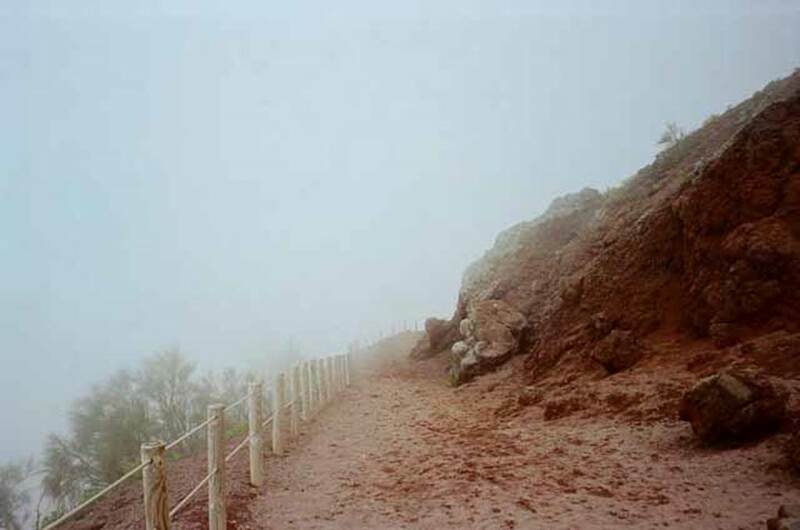 Vesuvius, June 2012. Observatory with plaque above the door: Reale Osservatorio Vesuviano (Royal Vesuvius Observatory). The upper plaque at roof level commemorates its founding in 1841, by Ferdinando II of Bourbon, King of The Two Sicilies. 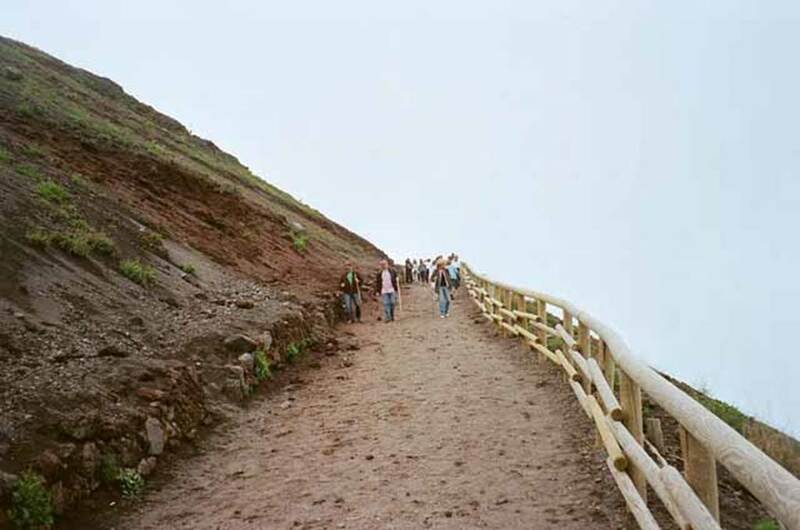 It is the oldest volcanology observatory in the world. 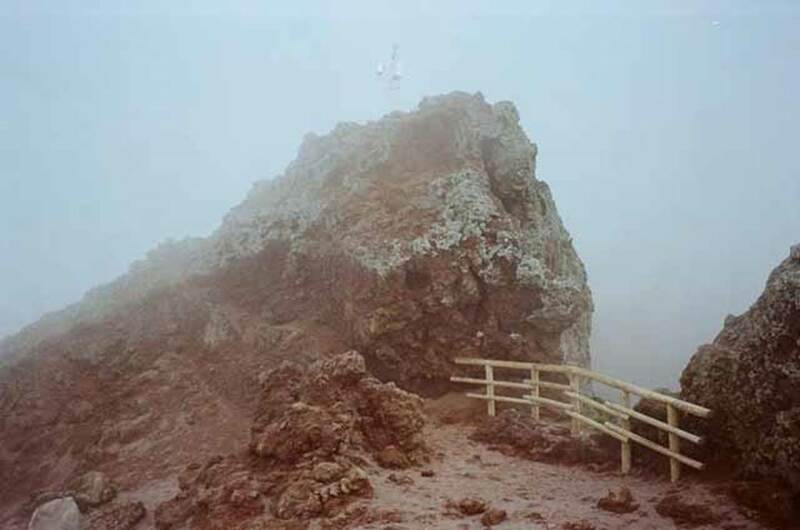 The Vesuvius Observatory is responsible for monitoring of active volcanoes such as Vesuvius, Campi Flegrei and Ischia. 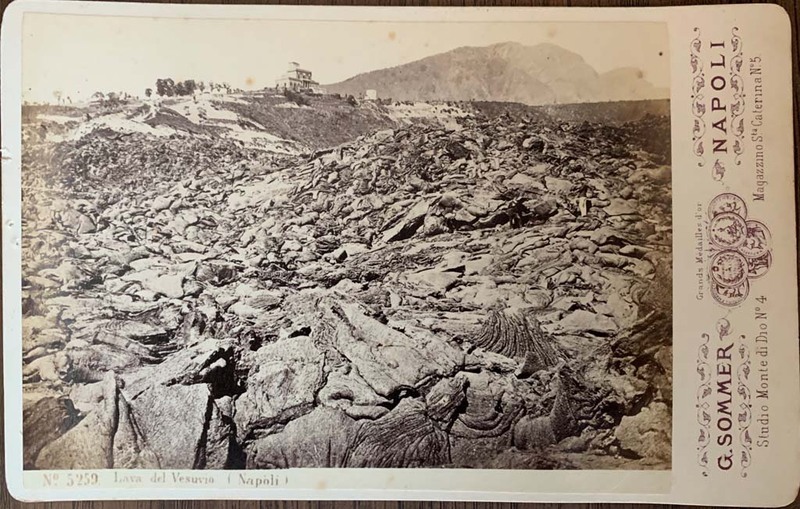 Now it is home to the Naples branch of the Istituto Nazionale di Geofisica e Vulcanologia (INGV), the National Institute of Geophysics and Volcanology. 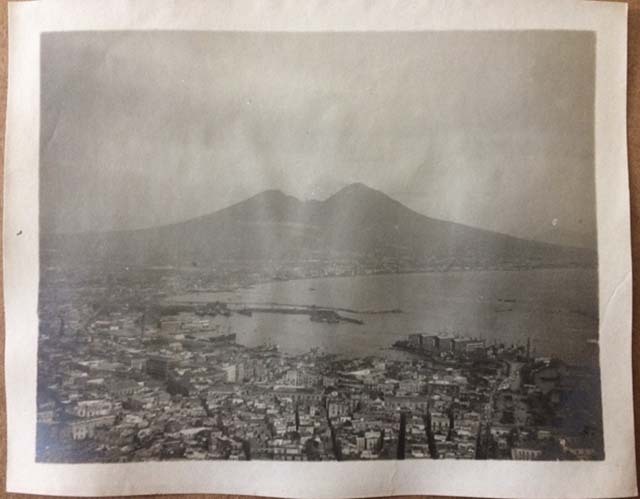 Vesuvius, 1972. View from slopes. Photo by Stanley A. Jashemski.